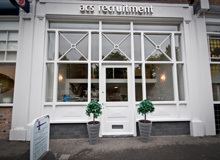 Acs Recruitment are currently recruiting for a Senior Private Client Solicitor for their clients established Wills/Probate department in Greater Manchester. The vacancy gives an ideal opportunity to any individual who relishes in our clients ambition to build, expand and develop this department as part of their ambition for growth. A good breadth of knowledge coupled with an enthusiasm and belief are essential. Our client have a genuine belief in career development and any successful candidate will enjoy excellent career development opportunities. We dont just submit your CV for vacancies, we market, and promote your CV to companies that we think are best suited to you. We believe it takes hard work to find the right job for you. or alternatively email [email protected] or [email protected].